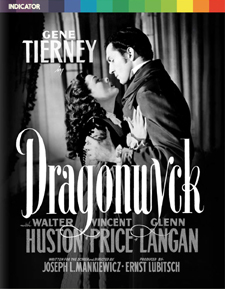 The first film in a line of successful directorial efforts from Joseph L. Mankiewicz, Dragonwyck is an adaptation of the novel of the same name by Anya Seton and was released to much acclaim and box office success in 1946. The story of a young woman named Miranda (Gene Tierney) who lives a country life with her family, including her overbearing, religious father (Walter Huston), she longs to one day leave her home and see the outside world. By happenstance, she receives a telegram from a distant cousin named Nicholas (Vincent Price), a wealthy land owner who wishes her to come and live with him in his lavish manor, Dragonwyck. Once there, she soon realizes that while Nicholas is charming and may be the possible receiver of her affections, there’s also something off about him, and she’ll have to learn what it is the hard way. Although his career as a horror icon, often portraying haunted and tortured characters, was still a couple of decades away, one could argue that portraying Nicholas Van Ryn was Vincent Price’s first foray into that king of territory. If anything, it certainly gave audiences a taste of how sinister he could be, which up to that point, wasn’t the case at all. It was also a role that he fought tooth and nail to get, even dropping 30 pounds in order to convince the powers that be that he was the right choice for it. Then there’s Walter Huston, who was more well known than either Price or Tierney at that time, even receiving top billing. He is extremely effective as Miranda’s deeply-rooted, bible-thumping father, stubborn in his own ways and giving her an obvious motivation for wanting to leave behind her simple, church-going, country life. Tierney’s portrayal of the character, on the other hand, is the least interesting of the main cast, at least in my opinion. Her function in the story is to contrast the aristocratic life and the lower class alternative by having it all presented through her naive point of view. Unfortunately for Tierney, the film shifts its focus dramatically once Price steps into the proceedings. Whether it’s the dominance of his performance or not, Tierney is clearly overshadowed, lacking any real character traits or development. Her talents aren’t lacking by any means, but she has very little to do other than be at the center of a love triangle, or to simply be reactionary. Interestingly enough, Ernst Lubitsch was originally meant to direct the film, but being that he was having health problems at the time, he turned the project over to his friend Mankiewicz. The flavor of the film could have potentially been different, but due to its success, Mankiewicz was able to have the illustrious career that followed, directing films such as The Ghost and Mrs. Muir, All About Eve, and Cleopatra, amongst others. Also featuring performances by Glenn Langan, Harry Morgan, and Jessica Tandy, as well as lush cinematography by Arthur C. Miller and a haunting score by Alfred Newman, Dragonwyck is an effective and well-made piece of suspenseful melodrama with towering performances and wonderful cinematography. Indicator’s Blu-ray release of the film comes with two viewing options: a 4K transfer of the film from 2017 (the same presentation that appeared on Twilight Time’s Blu-ray release) and an older HD master. The older master contains more pronounced grain and is less stable, but with much more apparent detail. Blacks are deeper, sometimes too deep, and there are frequent appearances of scratches, speckling, and flicker leftover. In the 4K presentation, detail is good and images are crisp, but grain levels are minor, lending an unwanted flatness that makes the film appear softer than it is. White levels are a bit blown out and black levels appear more gray than deep. It’s also a tad too bright, but appears more clean and stable with no leftover damage. As to which option is the better of two, it all depends upon one’s personal preference. Both have an equal share of positives and negatives, but it’s nice to at least be given an option. The audio has been included in English mono LPCM with optional subtitles in English SDH. It’s a slight improvement over the previous Twilight Time disc, but only marginally so. It still has dated qualities and is a tad narrow, but separation is good with no distortion. Dialogue is well-represented, as are sound effects and score. Hiss, pops, crackle, and dropouts are nowhere to be found. Most of the extras from Twilight Time’s Blu-ray and 20th Century Fox’s original DVD release carry over, but with a few left behind. Newly-included is The John Player Lecture with Vincent Price, an audio interview conducted at the National Film Theatre in London in 1969, which doubles as an audio commentary, but only runs for about 76 minutes of the film; an excellent audio commentary with film historian Steve Haberman and documentary filmmaker Constantine Nasr; A House of Secrets: Exploring Dragonwyck, a 16-minute featurette; 2 radio adaptations of Dragonwyck, one performed by Price and Tierney at the Lux Radio Theater on October 7, 1946, and the other performed by Price and Teresa Wright at the Screen Guild Theater on January 20, 1947; an isolated music and effects audio track in mono LPCM; the film’s original theatrical trailer; and a newly-included image gallery containing 124 images of on-set photography, publicity stills, behind-the-scenes photos, premiere photos, promotional tie-ins, and posters. Also included is a 36-page insert booklet containing cast and crew information, the essays From the Thunder and the Storm: Joseph L. Mankiewicz’s Dragonwyck by Neil Sinyard, Dragonwyck and the Production Code by Jeff Billington, Gene Tierney, JFK, and Dragonwyck by columnist Hedda Hopper, a set of critical responses, the film’s original poster, and presentation details. Supplements that did not carry over include an isolated score track in 2.0 mono DTS-HD; 2 45-minute A&E Biography TV specials: Gene Tierney: A Shattered Portrait and Vincent Price: A Versatile Villain; a scroll-through of the current Twilight Time catalogue; and an excellent essay on the film by Julie Kirgo in the accompanying 8-page insert booklet. Dragonwyck’s lasting legacy as both a well-produced thriller and Vincent Price’s first real dive into villainy is well-represented on this Blu-ray release, perhaps even more so than the original Twilight Time release. Having a viewing option between two different presentations of the film is certainly an improvement, despite neither being perfect. 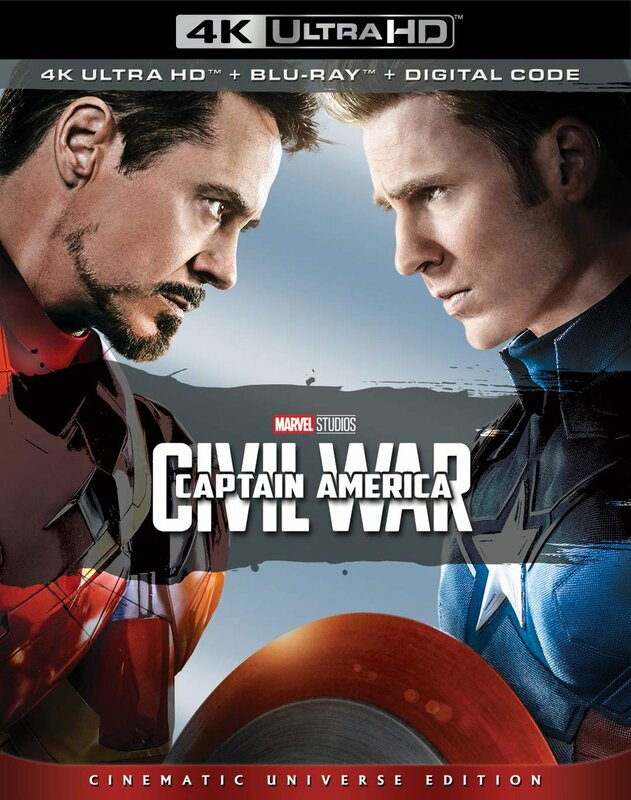 The bonus material is well-produced and supplements the film well, making this release an obvious recommendation.